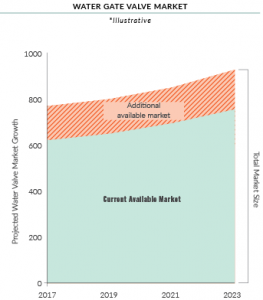 Mueller Company, a full-line manufacturer of water distribution products, observed growing interest in a specific portion of the water gate valves market, but needed to quantify the projected demand in order to develop a long-term product strategy. Hanover performed a market analysis that determined the current market size and growth projections for these water gate valves and identified relevant market trends and competitors in the North American market. Our experience over the last couple of years with Hanover has certainly exceeded expectations. I can truly say that our management team here at Mueller now think of Hanover first when they have research, survey or business intelligence needs. This reflects the high quality of the deliverables, the meticulous execution of projects, and the professionalism, business acumen, and promptness of the Hanover project management and client services team.